The VVD Project undertook an evaluation of its impacts on local communities between August and September 2012 with excellent results ( the study will be up on the ALT website soon) and Adsum Foundation funded an extension to the project from October in order to maintain vital production and broadcast while the ALT Mg team awaited news from the EC on funding to adapt VVD for the national elections communications campaign. The elections is a new subject for the project’s team as well as for the listeners. 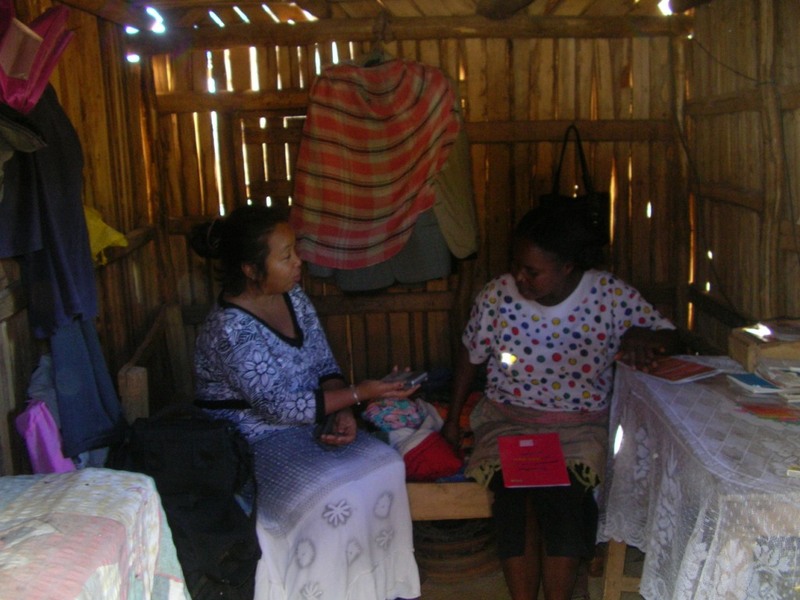 Focus groups with villagers revealed that beneficiaries had insufficient information or understanding to fully participate in the process (eg voter registration, census etc ). Accordingly two programmes were produced in October in order to provide information and prepare listeners so they could participate in debates and discussions, and enable them to pose questions – including for a future phone in debate. One programme explained the CENIT (Commission Electorale Nationale Independent pour la Transition) a description of its agencies and activities, and the electoral process already underway (eg voter enrollment: -a definition, the persons responsible, and the procedures) . A second programme focused on the national Census of voters. Feedback suggested that listeners were interested in the topic; the programmes were well received and well understood and more programming was required. The exact date of the election; will the election really take place? An explanation request for the conduct of the Census in the District of Ambovombe Androy, specifically regarding the deficiencies found in the method of carrying out the steps of the census. Indeed, there were cases such as non-completion of door to door surveys, use of a predefined list of the population during the census and visits to the population, many households were not visited by the census agents. All these were exposed during the radio phone-in. The request for clarification and precision on the making of national Identity cards. The boundaries of the validity of the electoral card, in other words, is it still valid if the person moves to another location. ALT is enormously grateful to Adsum Foundation for supporting three additional months to the pilot phase. A number of lessons have been learnt during this extension and, importantly, the listeners have been able to revisit themes that interest them and which required more work, exchange and programme production : – land tenure and inheritance issues, and public security. They were also able to begin to get a grasp of entirely new themes and information that is essential to their participation in forthcoming 2013 elections and in their judicial system locally. 1) To enable listeners to be comfortable with discussing the elections topic, the Project needs to start the radio phone-in with an introduction or a presentation which can serve as a guide for discussion. 3) Radio phone-ins on issues concerning Elections must be continuous and evolve according to the context to assure continuity of interest for listeners and to help them better assimilate information and key messages. Also to enable them to better express their questions and concerns. and further reminded listeners of key information shared during the radio phone-in of December. The team learnt in December 2012 that the VVD project had been selected to become part of the EC funded national elections communication campaign. 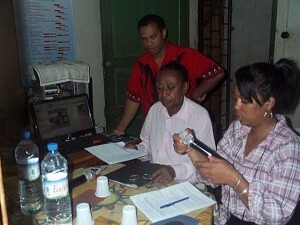 Although funding and time constraints do not permit the full methodology to be rolled out across all the regions of Madagascar, targeted activities will ensure there is civic engagement about the elections in the media (radio) across 11 linguistic zones and programming will be shared as widely as possible. Additionally, the work that ALT Mg executed on election themes during the VVD extension phase between October -December enabled them to learn many lessons and to prepare for and anticipate challenges in the forthcoming communications work with the EC project. In January 2013, when they were called to commence planning they were quick to work with their new international partner in Tana, Search for Common Ground, and also with the EC and the CENIT national office. 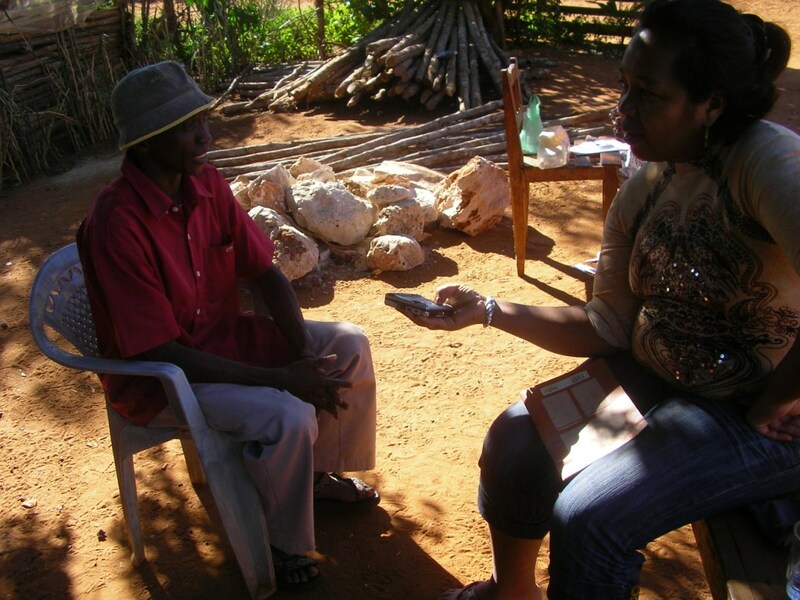 ALT Mg were able to rapidly provide questionnaires for the baseline survey, delineate the linguistic zones of the project, identify key radio stations and elaborate the criteria for selecting and working with these media partners. As of now, ALT Mg has trained and mobilised its field team for the election communications campaign (including with ex ALT Project Radio staff in Fianarantsoa), and they are carrying out an initial survey. Given there is such a short lead in time to the elections this gives ALT an advantage, enabling them to better assist and support the local populations through the process in the coming months. 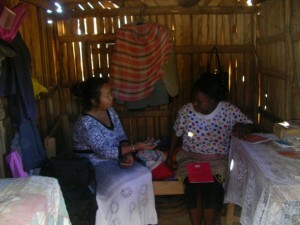 This entry was posted in Village Voices for Development. Bookmark the permalink.